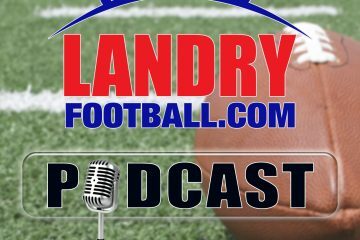 On the latest edition of the only digital radio show devoted exclusively to Underdogs in College Football and the NFL, host T.J. Rives and Kevin Rogers, Sr. Handicapper and Writer from VegasInsider.com, are back to roll into December. Kevin comes off a week where he was 3 for 3 in his underdog selections! He’s also hit at least one NFL underdog in 7 of the last 8 shows! This week, the guys debate the latest College Football Playoff rankings and what may or may not happen with possible losses causing chaos on Championship Saturday. Then, the guys make their doggie picks. Who likes Memphis to end UCF’s unbeaten run? Who takes a Conference USA pooch? Who takes Northwestern in the Big Ten Title Game? Next, college football writer/guru Matt Zemek joins the show to give his thoughts on the CFP and who will end up where in the prominent bowl games? Then, Tim Brando of Fox Sports, one of the top play by play guys and college football experts comes on to discuss the flaws he believes are in the current CFP rankings and system. Finally, Kevin rejoins T.J. for the guys to give some doggie love to a couple of NFL teams! It’s all part of the fun and the picks! It’s 3 Dog Thursday.